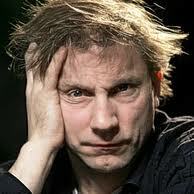 About halfway through an intense, two and a half hour talk with Simon McBurney, Complicite’s artistic director tells a story for which he apologises. “You probably don’t have time for this,” he says, warning of a digression; and yet, when I leave the North London café where we met — feeling just a little battered by the waves of impassioned talk that have washed over me in the course of a morning — I find myself thinking that this so-called digression is a perfect expression of what Complicite is and what it means. It’s a cold day in November; winter has just swept in. I’ve made my way past the glitter of the King’s Road to a cozy house in Chelsea. Here, a fire blazes in the grate of a sitting room piled with books, its walls hung with elegant modern art, its tables set about with family photographs. But let’s imagine: what if nothing was as it seems? “You can’t live without trust,” William Boyd says simply. Perhaps you think you’ve never heard of Ken Burns. But if you’ve ever been to a wedding, say, and watched a montage of photographs where the camera seems to pan in and around the still images, creating the illusion of movement, you’re watching what’s called “the Ken Burns effect”. And in every Apple computer for the past decade you’ll find the effect available in iMovie. “It’s saved countless millions of bar mitzvahs, vacations and weddings from descending into boredom,” Burns laughs as we talk on the phone. He’s in Boston and has agreed to speak to me at 6.30am — his time — so busy are this film-maker’s days. He says he knows what he’s doing pretty much every day up to 2019. In the summer of 1979 I had been packed off to camp in Maine, where the licence plates all say Vacationland and where I’ve never been so miserable, before or since. I was 11. My sufferings (you can imagine, right? I was the kid who hated team sports and longed for it to pour with rain so I could sit on my bunk and read) were exacerbated because my parents were spending that summer in England, a country I loved — a country I hoped I might live in one day, if I was very lucky indeed. I met J. K. Rowling in — well, actually, I can’t tell you where I met her. Her office is in a proper Secret Location. Quite good fun, really, unless you decide to be annoyed about the whole palaver. But why be annoyed? I was awfully curious to meet her. So I arrived, and there she was, petite and blonde and shaking my hand with what I would call reserved warmth. A lady who likes her glamour, the day we met she was casually chic in jeans, Converse and a blue jacket draped round her shoulders. Her make-up was subtle, but precise; her hands were perfectly manicured. She looks like someone who has settled into being who she is now.